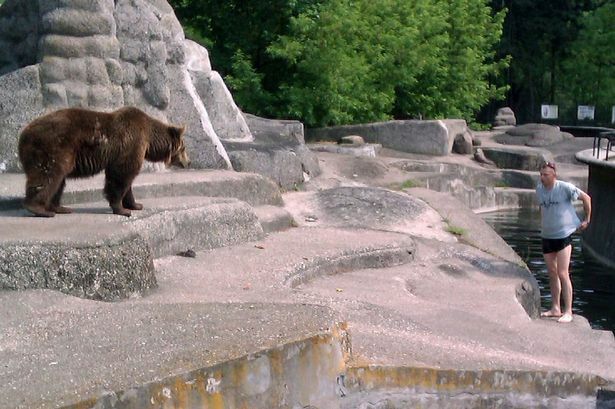 This is the moment a man diced with death after he climbed into a bear enclosureand appeared to punch the massive animal as it tried to bite his arm.Terrified onlookers screeched in horror as the unknown man climbed over a protective fence and made his way towards the female bear at Warsaw Municipal Zoological Garden, Poland. 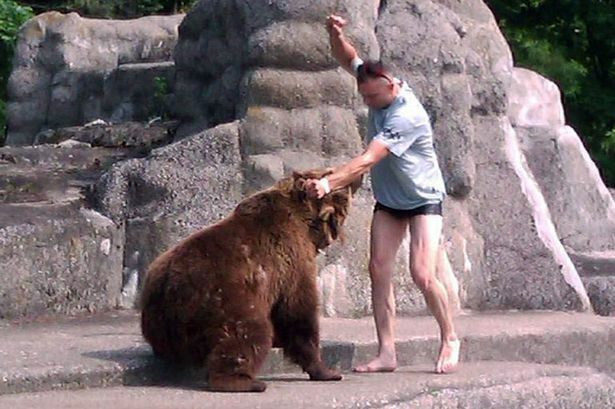 As the foolish man reached the bear the animal grabbed him by the arm with its mouth – at which point the intruder appeared to slam his fist down on the beast’s head and then run off.The photos of the dramatic encounter, which happened on Sunday morning, were taken by a shocked passer-by who then posted them to the internet. 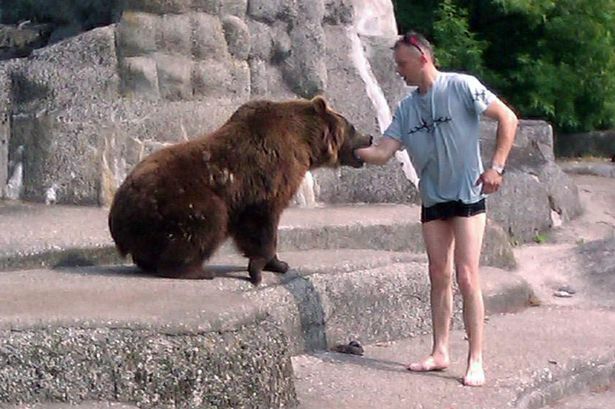 He claimed the man was with a friend but that nothing else was known about him.